Helen Shapiro is remembered today by younger pop culture buffs as the slightly awkward actress/singer in Richard Lester's 1962 debut feature film, It's Trad, Dad. From 1961 until 1963, however, Shapiro was England's teenage pop music queen, at one point selling 40,000 copies daily of her biggest single, "Walking Back to Happiness," during a 19-week chart run. A deceptively young 14 when she was discovered, Shapiro had a rich, expressive voice properly sounding like the property of someone twice as old, and she matured into a seasoned professional very quickly. She grew up in London's East End and was performing with a ukulele at age nine as part of a school group -- supposedly called Susie & the Hula Hoops, whose members included a young Mark Feld (aka Marc Bolan) -- that used to sing their own versions of Elvis Presley and Buddy Holly songs. She subsequently sang with her brother Ron Shapiro's trad jazz turned skiffle outfit at local clubs before enrolling in classes at Maurice Burman's music school in London. 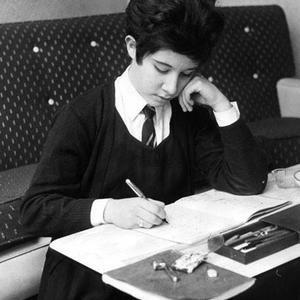 Burman was so taken with Helen Shapiro's voice that he waived the tuition to keep her as a student. He later brought her to the attention of Norrie Paramor, then one of EMI's top pop producers (responsible for signing Cliff Richard & the Shadows). Shapiro's voice was so mature that Paramor refused to believe from the evidence on a tape that it belonged to a 14-year-old until she came to his office and belted out "St. Louis Blues." She cut her first single, "Please Don't Treat Me Like a Child," a few weeks later and broke onto the British charts in 1961. That record was an extraordinary effort for a 14-year-old. Shapiro's voice showed the maturity and sensibilities of someone far beyond their teen years; her depth of emotion, coupled with the richness of her singing, made her an extraordinary new phenomenon on the British pop scene. She surprised everyone once again with her second single, a slow ballad called "You Don't Know," which managed to appeal to listeners across several age groups and hit number one in England. This was followed by the greatest recording of her career, "Walking Back to Happiness," which scaled the top of the charts with far greater total sales. Ironically, she'd never wanted to cut it; she felt it sounded hopelessly corny and old-fashioned, but her singing invested the song with such depth that it transcended any limitations in the writing. This was to be the last time Shapiro would top the charts. Her next record, "Tell Me What He Said" (written by Jeff Barry) was held out of the top spot by the Shadows' "Wonderful Land." In April of 1962, Shapiro made her movie debut in Lester's It's Trad, Dad, but her single of "Let's Talk About Love" (featured in the movie) never broke the Top 20. Shapiro next turned back to the songwriting team of John Schroeder and Mike Hawker, who had written "Walking Back to Happiness" and "You Don't Know," for what proved to be her last Top Ten record, "Little Miss Lonely." She made the charts once more with "Keep Away From Other Girls," the first song by Burt Bacharach to make the British Top 40. During this period, Shapiro also got the opportunity to record Neil Sedaka's "Little Devil," and the two later became friends when Sedaka toured England. Listening to Shapiro's records nearly 40 years later, it's amazing to think that her hit-making career lasted only two years. She was equally at home belting out "The Birth of the Blues," imparting a surprisingly blues-influenced feeling to "A Teenager in Love," or oozing pre-feminist defiance in "Walking Back to Happiness," and by rights should have been able to find a niche on the charts well into the middle and late '60s. The incongruity of a 15-year-old who might usually be spending her time in high school doing a song like "Walking Back to Happiness" was lost in the more innocent era in which she worked. Shapiro wasn't remotely as soul-influenced as Dusty Springfield (though Shapiro's Helen in Nashville album from 1963 does sort of anticipate Dusty in Memphis), or a raspy shouter like Lulu, and there wasn't much of the cool teenager in her in the style of Sandie Shaw or the wounded teen softness of Lesley Gore. Rather, Shapiro was much more of a female pop/rock crooner, almost a distaff Bobby Darin with a style all her own, and should have been able to cut a path for herself well into the '60s in the music marketplace. It wasn't to be, however. After appearing in her second movie, Play It Cool, which starred Billy Fury, Shapiro faded from the charts, although she didn't disappear from the British musical consciousness. She still headlined tours in the United Kingdom and in early 1963, she made the acquaintance of a support act that had been newly signed to EMI: the Beatles. She headlined the Beatles' first national tour of England and Shapiro and the group enjoyed each other's company. At 16, she was much more the seasoned professional than the older Liverpool quartet, who loved her voice and her unassuming manner. She sang with them on the bus, advised them to make "From Me to You" their next record after "Please Please Me," and they, in turn, wrote "Misery" for her. Astonishingly, EMI -- not yet sensing the golden touch that the Beatles (who had yet to cut their first LP) would soon reveal -- declined to give Shapiro the chance to record a Lennon-McCartney tune, costing her the chance to become the first artist to cover a Lennon-McCartney song just at the point when the Beatles were about to sweep all before them in the pop charts. There's no telling what Shapiro, with her rich intonation, could have done with that downbeat little diamond in the rough in the early Lennon-McCartney song bag. Shapiro had another chance at an even more promising song later in 1963 when she went to cut an album in Nashville. In a session backed by the likes of Grady Martin and Boots Randolph, she cut the very first recording of "It's My Party." And again, EMI failed to get behind the single, sitting on its release until a virtual unknown named Lesley Gore got her rendition out first on Mercury and topped the U.S. charts. Shapiro's career at EMI ended in 1963 and her periodic attempts to resume recording at Pye, DJM, and Arista over the next decade failed to generate any chart action.